The term German resistance should not be understood as meaning that there was a united resistance movement in Germany at any time during the Nazi period, analogous to the more coordinated Polish Underground State, Greek Resistance, Yugoslav Partisans, French Resistance, Dutch Resistance, Norwegian resistance movement and Italian Resistance. The German resistance consisted of small and usually isolated groups. They were unable to mobilize political opposition. Except for individual attacks on Nazis (including Hitler) or sabotage acts, the only real strategy was to persuade leaders of the Wehrmacht to stage a coup against the regime: the 1944 assassination attempt against Hitler was intended to trigger such a coup. Approximately 77,000 German citizens were killed for one or another form of resistance by Special Courts, courts-martial, People's Courts and the civil justice system. Many of these Germans had served in government, the military, or in civil positions, which enabled them to engage in subversion and conspiracy; in addition, the Canadian historian Peter Hoffman counts unspecified "tens of thousands" in Nazi concentration camps who were either suspected of or actually engaged in opposition. By contrast, the German historian Hans Mommsen wrote that resistance in Germany was "resistance without the people" and that the number of those Germans engaged in resistance to the Nazi regime was very small. The resistance in Germany included German citizens of non-German ethnicity, such as members of the Polish minority who formed resistance groups like Olimp. The German opposition and resistance movements consisted of disparate political and ideological strands, which represented different classes of German society and were seldom able to work together – indeed for much of the period there was little or no contact between the different strands of resistance. A few civilian resistance groups developed, but the Army was the only organisation with the capacity to overthrow the government, and from within it a small number of officers came to present the most serious threat posed to the Nazi regime. The Foreign Office and the Abwehr (Military Intelligence) also provided vital support to the movement. But many of those in the military who ultimately chose to seek to overthrow Hitler had initially supported the regime, if not all of its methods. Hitler's 1938 purge of the military was accompanied by increased militancy in the Nazification of Germany, a sharp intensification of the persecution of Jews, homosexuals, communists, socialists, and trade union leaders and aggressive foreign policy, bringing Germany to the brink of war; it was at this time that the German Resistance emerged. Those opposing the Nazi regime were motivated by such factors as the mistreatment of Jews, harassment of the churches, and the harsh actions of Himmler and the Gestapo. 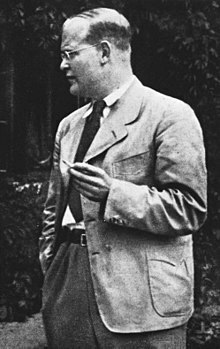 In his history of the German Resistance, Peter Hoffmann wrote that "National Socialism was not simply a party like any other; with its total acceptance of criminality it was an incarnation of evil, so that all those whose minds were attuned to democracy, Christianity, freedom, humanity or even mere legality found themselves forced into alliance...". Banned, underground political parties contributed one source of opposition. These included the Social Democrats (SPD)—with activist Julius Leber—Communists (KPD), and the anarcho-syndicalist group the Freie Arbeiter Union (FAUD), that distributed anti-Nazi propaganda and assisted people in fleeing the country. Another group, the Red Orchestra (Rote Kapelle), consisted of anti-fascists, communists, and an American woman. The individuals in this group began to assist their Jewish friends as early as 1933. Christian churches, Catholic and Protestant, contributed another source of opposition. Their stance was symbolically significant. The churches, as institutions, did not openly advocate for the overthrow of the Nazi state, but they remained one of the very few German institutions to retain some independence from the state, and were thus able to continue to co-ordinate a level of opposition to Government policies. They resisted the regime's efforts to intrude on ecclesiastical autonomy, but from the beginning, a minority of clergymen expressed broader reservations about the new order, and gradually their criticisms came to form a "coherent, systematic critique of many of the teachings of National Socialism". Some priests - such as the Jesuits Alfred Delp and Augustin Rösch and the Lutheran preacher Dietrich Bonhoeffer - were active and influential within the clandestine German Resistance, while figures such as Protestant Pastor Martin Niemöller (who founded the Confessing Church), and the Catholic Bishop Clemens August Graf von Galen (who denounced Nazi euthanasia and lawlessness), offered some of the most trenchant public criticism of the Third Reich - not only against intrusions by the regime into church governance and to arrests of clergy and expropriation of church property, but also to the fundamentals of human rights and justice as the foundation of a political system. Their example inspired some acts of overt resistance, such as that of the White Rose student group in Munich, and provided moral stimulus and guidance for various leading figures in the political Resistance. Individual Germans or small groups of people acting as the "unorganized resistance" defied the Nazi regime in various ways, most notably, those who helped Jews survive the Nazi Holocaust by hiding them, obtaining papers for them or in other ways aiding them. More than 300 Germans have been recognised for this. It also included, particularly in the later years of the regime, informal networks of young Germans who evaded serving in the Hitler Youth and defied the cultural policies of the Nazis in various ways. The German Army, the Foreign Office and the Abwehr, the military intelligence organization became sources for plots against Hitler in 1938 and again in 1939, but for a variety of reasons could not implement their plans. After the German defeat in the Battle of Stalingrad in 1943, they contacted many army officers who were convinced that Hitler was leading Germany to disaster, although fewer who were willing to engage in overt resistance. Active resisters in this group were frequently drawn from members of the Prussian aristocracy. There was almost no organized resistance to Hitler's regime in the period between his appointment as chancellor on January 30, 1933, and the crisis over Czechoslovakia in early October 1938. By July 1933, all other political parties and the trade unions had been suppressed, the press and radio brought under state control, and most elements of civil society neutralised. The July 1933 Concordat between Germany and the Holy See ended any possibility of systematic resistance by the Catholic Church. The largest Protestant church, the German Evangelical Church, was generally pro-Nazi, although a small number of church members resisted this position. 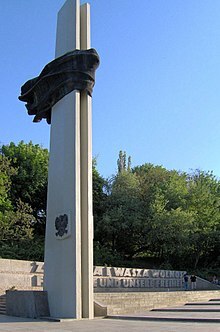 The breaking of the power of the SA in the "Night of the Long Knives" in July 1934 ended any possibility of a challenge from the "socialist" wing of the Nazi Party, and also brought the army into closer alliance with the regime. Hitler's regime was overwhelmingly popular with the German people during this period. The failures of the Weimar Republic had discredited democracy in the eyes of most Germans. Hitler's apparent success in restoring full employment after the ravages of the Great Depression (achieved mainly through the reintroduction of conscription, a policy advocating that women stay home and raise children, a crash re-armament programme, and the incremental removal of Jews from the workforce as their jobs were tendered to Gentiles), and his bloodless foreign policy successes such as the reoccupation of the Rhineland in 1936 and the annexation of Austria in 1938, brought him almost universal acclaim. There remained, however, a substantial base for opposition to Hitler's regime. Although the Nazi Party had taken control of the German state, it had not destroyed and rebuilt the state apparatus in the way the Bolshevik regime had done in the Soviet Union. Institutions such as the Foreign Office, the intelligence services and, above all, the army, retained some measure of independence, while outwardly submitting to the new regime. In May 1934, Colonel-General Ludwig Beck, Chief of Staff of the Army, had offered to resign if preparations were made for an offensive war against Czechoslovakia. The independence of the army was eroded in 1938, when both the War Minister, General Werner von Blomberg, and the Army Chief, General Werner von Fritsch, were removed from office, but an informal network of officers critical of the Nazi regime remained. In 1936, thanks to an informer, the Gestapo raids devastated Anarcho-syndicalist groups all over Germany, resulting in the arrest of 89 people. Most ended up either imprisoned or murdered by the regime. The groups had been encouraging strikes, printing and distributing anti-Nazi propaganda and recruiting people to fight the Nazis' fascist allies during the Spanish Civil War. As part of the agreement with the conservative forces by which Hitler became chancellor in 1933, the non-party conservative Konstantin von Neurath remained foreign minister, a position he retained until 1938. During Neurath's time in control, the Foreign Office with its network of diplomats and access to intelligence, became home to a circle of resistance, under the discreet patronage of the Under-Secretary of State Ernst von Weizsäcker. Prominent in this circle were the ambassador in Rome Ulrich von Hassell, the Ambassador in Moscow Friedrich Graf von der Schulenburg, and officials Adam von Trott zu Solz, Erich Kordt and Hans Bernd von Haeften. This circle survived even when the ardent Nazi Joachim von Ribbentrop succeeded Neurath as foreign minister. The most important centre of opposition to the regime within the state apparatus was in the intelligence services, whose clandestine operations offered an excellent cover for political organisation. The key figure here was Colonel Hans Oster, head of the Military Intelligence Office from 1938, and an anti-Nazi from as early as 1934. He was protected by the Abwehr chief Admiral Wilhelm Canaris. Oster organized an extensive clandestine network of potential resisters in the army and the intelligence services. He found an early ally in Hans Bernd Gisevius, a senior official in the Interior Ministry. Hjalmar Schacht, the governor of the Reichsbank, was also in touch with this opposition. The problem these groups faced, however, was what form resistance to Hitler could take in the face of the regime's successive triumphs. They recognised that it was impossible to stage any kind of open political resistance. This was not, as is sometimes stated, because the repressive apparatus of the regime was so all-pervasive that public protest was impossible – as was shown when Catholics protested against the removal of crucifixes from Oldenburg schools in 1936, and the regime backed down. Rather it was because of Hitler's massive support among the German people. While resistance movements in the occupied countries could mobilise patriotic sentiment against the German occupiers, in Germany the resistance risked being seen as unpatriotic, particularly in wartime. Even many army officers and officials who detested Hitler had a deep aversion to being involved in "subversive" or "treasonous" acts against the government. As early as 1936, Oster and Gisevius came to the view that a regime so totally dominated by one man could only be brought down by eliminating that man – either by assassinating Hitler or by staging an army coup against him. However, it was a long time before any significant number of Germans came to accept this view. Many clung to the belief that Hitler could be persuaded to moderate his regime, or that some other more moderate figure could replace him. Others argued that Hitler was not to blame for the regime's excesses, and that the removal of Heinrich Himmler and reduction in the power of the SS was needed. Some oppositionists were devout Christians who disapproved of assassination as a matter of principle. Others, particularly the army officers, felt bound by the personal oath of loyalty they had taken to Hitler in 1934. The opposition was also hampered by a lack of agreement about their objectives other than the need to remove Hitler from power. Some oppositionists were liberals who opposed the ideology of the Nazi regime in its entirety, and who wished to restore a system of parliamentary democracy. Most of the army officers and many of the civil servants, however, were conservatives and nationalists, and many had initially supported Hitler's policies – Carl Goerdeler, the Lord Mayor of Leipzig, was a good example. Some favored restoring the Hohenzollern dynasty, while others favored an authoritarian, but not Nazi, regime. Some saw no problem with Hitler's anti-Semitism and ultra-nationalism, and opposed only his apparent reckless determination to take Germany into a new world war. Because of their many differences, the opposition was unable to form a united movement, or to send a coherent message to potential allies outside Germany. "From the very beginning", wrote Hamerow, "some churchmen expressed, quite directly at times, their reservations about the new order. In fact those reservations gradually came to form a coherent, systematic critique of many of the teachings of National Socialism." Clergy in the German Resistance had some independence from the state apparatus, and could thus criticise it, while not being close enough to the centre of power to take steps to overthrow it. "Clerical resistors", wrote Theodore S. Hamerow, could indirectly "articulate political dissent in the guise of pastoral stricture". They usually spoke out not against the established system, but "only against specific policies that it had mistakenly adopted and that it should therefore properly correct". Later, the most trenchant public criticism of the Third Reich came from some of Germany's religious leaders, as the government was reluctant to move against them, and though they could claim to be merely attending to the spiritual welfare of their flocks, "what they had to say was at times so critical of the central doctrines of National Socialism that to say it required great boldness", and they became resistors. Their resistance was directed not only against intrusions by the government into church governance and to arrests of clergy and expropriation of church property, but also to matters like Nazi euthanasia and eugenics and to the fundamentals of human rights and justice as the foundation of a political system. A senior cleric could rely on a degree of popular support from the faithful, and thus the regime had to consider the possibility of nationwide protests if such figures were arrested. Thus the Catholic Bishop of Münster, Clemens August Graf von Galen and Dr Theophil Wurm, the Protestant Bishop of Württemberg were able to rouse widespread public opposition to murder of invalids. In the words of Kershaw, the churches "engaged in a bitter war of attrition with the regime, receiving the demonstrative backing of millions of churchgoers. Applause for Church leaders whenever they appeared in public, swollen attendances at events such as Corpus Christi Day processions, and packed church services were outward signs of the struggle of... especially of the Catholic Church - against Nazi oppression". While the Church ultimately failed to protect its youth organisations and schools, it did have some successes in mobilizing public opinion to alter government policies. The churches challenged Nazi efforts to undermine various Christian institutions, practices and beliefs and Bullock wrote that "among the most courageous demonstrations of opposition during the war were the sermons preached by the Catholic Bishop of Münster and the Protestant Pastor, Dr Niemoller..." but that nevertheless, "Neither the Catholic Church nor the Evangelical Church... as institutions, felt it possible to take up an attitude of open opposition to the regime". Cardinal Michael von Faulhaber gained an early reputation as a critic of the Nazis. His three Advent sermons of 1933, entitled Judaism, Christianity, and Germany denounced the Nazi extremists who were calling for the Bible to be purged of the "Jewish" Old Testament. Faulhaber tried to avoid conflict with the state over issues not strictly pertaining to the church, but on issues involving the defence of Catholics he refused to compromise or retreat. When in 1937 the authorities in Upper Bavaria attempted to replace Catholic schools with "common schools", he offered fierce resistance. Among the most firm and consistent of senior Catholics to oppose the Nazis was Konrad von Preysing, Bishop of Berlin from 1935. He worked with leading members of the resistance Carl Goerdeler and Helmuth James Graf von Moltke. He was part of the five-member commission that prepared the Mit brennender Sorge anti-Nazi encyclical of March 1937, and sought to block the Nazi closure of Catholic schools and arrests of church officials. In July, the Bishop of Münster, Clemens August Graf von Galen (an old aristocratic conservative, like many of the anti-Hitler army officers), publicly denounced the “euthanasia” programme in a sermon, and telegrammed his text to Hitler, calling on “the Führer to defend the people against the Gestapo.” Another Bishop, Franz Bornewasser of Trier, also sent protests to Hitler, though not in public. On 3 August, Galen was even more outspoken, broadening his attack to include the Nazi persecution of religious orders and the closing of Catholic institutions. Local Nazis asked for Galen to be arrested, but Propaganda Minister Joseph Goebbels told Hitler that if this happened there would be an open revolt in Westphalia. Galen's sermons went further than defending the church, he spoke of a moral danger to Germany from the regime's violations of basic human rights: "the right to life, to inviolability, and to freedom is an indispensable part of any moral social order", he said - and any government that punishes without court proceedings "undermines its own authority and respect for its sovereignty within the conscience of its citizens". Pius XII became Pope on the eve of World War II, and maintained links to the German Resistance. Although remaining publicly neutral, Pius advised the British in 1940 of the readiness of certain German generals to overthrow Hitler if they could be assured of an honourable peace, offered assistance to the German resistance in the event of a coup and warned the Allies of the planned German invasion of the Low Countries in 1940. In 1943, Pius issued the Mystici corporis Christi encyclical, in which he condemned the practice of killing the disabled. He stated his "profound grief" at the murder of the deformed, the insane, and those suffering from hereditary disease... as though they were a useless burden to Society", in condemnation of the ongoing Nazi euthanasia program. The Encyclical was followed, on 26 September 1943, by an open condemnation by the German Bishops which, from every German pulpit, denounced the killing of "innocent and defenceless mentally handicapped, incurably infirm and fatally wounded, innocent hostages, and disarmed prisoners of war and criminal offenders, people of a foreign race or descent". Despite the removal of Blomberg and Fritsch, the army retained considerable independence, and senior officers were able to discuss their political views in private fairly freely. In May 1938, the army leadership was made aware of Hitler's intention of invading Czechoslovakia, even at the risk of war with Britain, France, and/or the Soviet Union. The Army Chief of Staff, General Ludwig Beck, regarded this as not only immoral but reckless, since he believed that Germany would lose such a war. Oster and Beck sent emissaries to Paris and London to advise the British and French to resist Hitler's demands, and thereby strengthen the hand of Hitler's opponents in the Army. Weizsäcker also sent private messages to London urging resistance. The British and French were extremely doubtful of the ability of the German opposition to overthrow the Nazi regime and ignored these messages. An official of the British Foreign Office wrote on August 28, 1938: "We have had similar visits from other emissaries of the Reichsheer, such as Dr. Goerdeler, but those for whom these emissaries claim to speak have never given us any reasons to suppose that they would be able or willing to take action such as would lead to the overthrow of the regime. The events of June 1934 and February 1938 do not lead one to attach much hope to energetic action by the Army against the regime" Because of the failure of Germans to overthrow their Führer in 1938, the British Prime Minister Neville Chamberlain was convinced that the resistance comprised a group of people seemingly not well organized. In August, Beck spoke openly at a meeting of army generals in Berlin about his opposition to a war with the western powers over Czechoslovakia. When Hitler was informed of this, he demanded and received Beck's resignation. Beck was highly respected in the army and his removal shocked the officer corps. His successor as chief of staff, Franz Halder, remained in touch with him, and was also in touch with Oster. Privately, he said that he considered Hitler "the incarnation of evil". During September, plans for a move against Hitler were formulated, involving General Erwin von Witzleben, who was the army commander of the Berlin Military Region and thus well-placed to stage a coup. Oster, Gisevius, and Schacht urged Halder and Beck to stage an immediate coup against Hitler, but the army officers argued that they could only mobilize support among the officer corps for such a step if Hitler made overt moves towards war. Halder nevertheless asked Oster to draw up plans for a coup. Weizsäcker and Canaris were made aware of these plans. 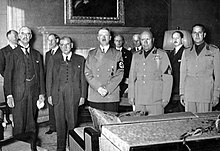 The conspirators disagreed on what to do about Hitler if there was a successful army coup – eventually most overcame their scruples and agreed that he must be killed so that army officers would be free from their oath of loyalty. They agreed Halder would instigate the coup when Hitler committed an overt step towards war. During the planning for the 1938 putsch, Carl Friedrich Goerdeler was in contact through the intermediary of General Alexander von Falkenhausen with Chinese intelligence Most German conservatives favoured Germany's traditional informal alliance with China, and were strongly opposed to the about-face in Germany's Far Eastern policies effected in early 1938 by Joachim von Ribbentrop, who abandoned the alliance with China for an alignment with Japan. As a consequence, agents of Chinese intelligence supported the proposed putsch as a way of restoring the Sino-German alliance. The failed plots of 1938 and 1939 showed both the strength and weakness of the officer corps as potential leaders of a resistance movement. Its strength was its loyalty and solidarity. As Istvan Deak noted: "Officers, especially of the highest ranks, had been discussing, some as early as 1934 ... the possibility of deposing or even assassinating Hitler. Yet it seems that not a single one was betrayed by a comrade-in-arms to the Gestapo." Remarkably, in over two years of plotting, this widespread and loosely structured conspiracy was never detected. One explanation is that at this time Himmler was still preoccupied with the traditional enemies of the Nazis, the SPD and the KPD (and, of course, the Jews), and did not suspect that the real centre of opposition was within the state itself. Another factor was Canaris’ success in shielding the plotters, particularly Oster, from suspicion. American journalist Howard K. Smith wrote in 1942 that of the three groups in opposition to Hitler, the military was more important than the churches and the Communists. Little could be done while Hitler's armies advanced triumphantly into the western regions of the Soviet Union through 1941 and 1942 – even after the setback before Moscow in December 1941 that led to the dismissal of both Brauchitsch and Bock. In December 1941, the United States entered the war, persuading some more realistic army officers that Germany must ultimately lose the war. But the life-and-death struggle on the eastern front posed new problems for the resistance. Most of its members were conservatives who hated and feared communism and the Soviet Union. How could the Nazi regime be overthrown and the war ended without allowing the Soviets to gain control of Germany or the whole of Europe? This question was made more acute when the Allies adopted their policy of demanding Germany's "unconditional surrender" at the Casablanca Conference of January 1943. A second attempt was made a few days later on 21 March 1943, when Hitler visited an exhibition of captured Soviet weaponry in Berlin's Zeughaus. One of Tresckow's friends, Colonel Rudolf Christoph Freiherr von Gersdorff, was scheduled to explain some exhibits, and volunteered to carry out a suicide bombing using the same bomb that had failed to go off on the plane, concealed on his person. However, the only new chemical fuse he could obtain was a ten-minute one. Hitler again left prematurely after hurrying through the exhibition much quicker than the scheduled 30 minutes. Gersdorff had to dash to a bathroom to defuse the bomb to save his life, and more importantly, prevent any suspicion. This second failure temporarily demoralised the plotters at Army Group Centre. Gersdorff reported about the attempt after the war; the footage is often seen on German TV documentaries ("Die Nacht des Widerstands" etc. ), including a photo showing Gersdorff and Hitler. Halder had been dismissed in 1942 and there was now no independent central leadership of the Army. His nominal successors, Field Marshal Wilhelm Keitel and General Alfred Jodl, were no more than Hitler's messengers. Tresckow and Goerdeler tried again to recruit the senior Army field commanders to support a seizure of power. Kluge was by now won over completely. Gersdorff was sent to see Field Marshal Erich von Manstein, the commander of Army Group South in the Ukraine. Manstein agreed that Hitler was leading Germany to defeat, but told Gersdorff that “Prussian field marshals do not mutiny.” Field Marshal Gerd von Rundstedt, commander in the west, gave a similar answer. The prospect of a united German Army seizing power from Hitler was as far away as ever. Once again, however, neither officer reported that they had been approached in this way. The Gestapo had been led to Dohnanyi following the arrest of Wilhelm Schmidhuber [de], who had helped Dohnanyi with information and with smuggling Jews out of Germany. Under interrogation, Schmidhuber gave the Gestapo details of the Oster-Dohnanyi group in the Abwehr and about Goerdeler and Beck's involvement in opposition activities. The Gestapo reported all this to Himmler, with the observation that Canaris must be protecting Oster and Dohnanyi and the recommendation that he be arrested. Himmler passed the file back with the note "Kindly leave Canaris alone." Either Himmler felt Canaris was too powerful to tackle at this stage, or he wanted him and his oppositional network protected for reasons of his own. Nevertheless, Oster's usefulness to the resistance was now greatly reduced. However, the Gestapo did not have information about the full workings of the resistance. Most importantly, they did not know about the resistance networks based on Army Group Centre or the Bendlerblock. Improvised protests also occurred if rarely in Nazi Germany, and represent a form of resistance not wholly researched, Sybil Milton wrote already in 1984. Hitler and National Socialism’s perceived dependence on the mass mobilization of his people, the “racial” Germans, along with the belief that Germany had lost WW I due to an unstable home front, caused the regime to be peculiarly sensitive to public, collective protests. Hitler recognized the power of collective action, advocated non-compliance toward unworthy authority (e.g. the 1923 French occupation of the Ruhr), and brought his party to power in part by mobilizing public unrest and disorder to further discredit the Weimar Republic. In power, Nazi leadersquickly banned extra-party demonstrations, fearing displays of dissent on open urban spaces might develop and grow, even without organization. An early defeat of state institutions and Nazi officials by mass, popular protest culminated with Hitler's release and reinstatement to church office of Protestant bishops Hans Meiser and Theophil Wurm in October 1934. Meiser's arrest two weeks earlier had stirred mass public protests of thousands in Bavaria and Württemberg and initiated protests to the German Foreign Ministry from countries around the world. Unrest had festered between regional Protestants and the state since early 1934 and came to a boil in mid-September when the regional party daily accused Meiser of treason, and shameful betrayal of Hitler and the state. By the time Hitler intervened, pastors were increasingly involving parishioners in the church struggle. Their agitation was amplifying distrust of the state as protest was worsening and spreading rapidly. Alarm among local officials was escalating. Some six thousand gathered in support of Meiser while only a few dutifully showed up at a meeting of the region's party leader, Julius Streicher. Mass open protests, the form of agitation and bandwagon building the Nazis employed so successfully, were now working against them. When Streicher's deputy, Karl Holz, held a mass rally in Nuremberg's main square, Adolf-Hitler-Platz, the director of the city's Protestant Seminary led his students into the square, encouraging others along the way to join, where they effectively sabotaged the Nazi rally and broke out singing “A Mighty Fortress is our God.” To rehabilitate Meiser and bring the standoff to a close, Hitler, who in January had publicly condemned the bishops in their presence as “traitors to the people, enemies of the Fatherland, and the destroyers of Germany,” arranged a mass audience including the bishops and spoke in conciliatory tones. This early contest points to enduring characteristics of regime responses to open, collective protests. It would prefer dealing with mass dissent immediately and decisively—not uncommonly retracting the cause of protest with local and policy-specific concessions. Open dissent, left unchecked, tended to spread and worsen. Church leaders had improvised a counter-demonstration strong enough to neutralize the party's rally just as the Nazi Party had faced down socialist and communist demonstrators while coming to power. Instructive in this case is the view of a high state official that, regardless of the protesters motives, they were political in effect; although church protests were in defense of traditions rather than an attack on the regime, they nonetheless had political consequences, the official said, with many perceiving the clergy as anti-Nazi, and a “great danger of the issue spilling over from a church affair into the political arena”. Hitler recognized that workers, through repeated strikes, might force approval of their demands and he made concessions to workers in order to preempt unrest; yet the rare but forceful public protests the regime faced were by women and Catholics, primarily. Some of the earliest work on resistance examined the Catholic record, including most spectacularly local and regional protests against decrees removing crucifixes from schools, part of the regime's effort to secularize public life. Although historians dispute the degree of political antagonism toward National Socialism behind these protests, their impact is uncontested. Popular, public, improvised protests against decrees replacing crucifixes with the Führer's picture, in incidents from 1935 to 1941, from north to south and east to west in Germany, forced state and party leaders to back away and leave crucifixes in traditional places. Prominent incidents of crucifix removal decrees, followed by protests and official retreat, occurred in Oldenburg (Lower Saxony) in 1936, Frankenholz (Saarland) and Frauenberg (East Prussia) in 1937, and in Bavaria in 1941. Women, with traditional sway over children and their spiritual welfare, played a leading part. German history of the early twentieth century held examples of the power of public mobilization, including the Kapp military Putsch in 1920, some civilian Germans realized the specific potential of public protest from within the dictatorship. After the Oldenburg crucifix struggle, police reported that Catholic activists told each other they coulddefeat future anti-Catholic actions of the state as long as they posed a united front. Catholic Bishop Clemens von Galen may well have been among them. He had raised his voice in the struggle, circulating a pastoral letter. A few months later in early 1937, while other bishops voiced fear of using such “direct confrontation,” Galen favored selective “public protests” as a means of defending church traditions against an overreaching state. Some argue that the regime, once at war, no longer heeded popular opinion and, some agencies and authorities did radicalize use of terror for domestic control in the final phase of war. Hitler and the regime's response to collective street protest, however, did not harden. Although a number of historians have argued that popular opinion, brought to a head by Galen's denunciations from the pulpit in the late summer of 1941, caused Hitler to suspend Nazi “Euthanasia,” others disagree. It is certain, however, that Galen intended to have an impact from the pulpit and that the highest Nazi officials decided against punishing him out of concern for public morale. A Catholic protest in May the same year against the closing of the Münsterschwarzach monastery in Lower Franconia illustrates the regime's occasional response of not meeting protester demands while nevertheless responding with “flexibility” and “leniency” rather than repressing or punishing protesters. That protest, however, represented only local opinion rather than the nationwide anxiety Galen represented, stirred up by the Euthanasia program the regime refused to acknowledge. Another indication that civilians realized the potential of public protest within a regime so concerned about morale and unity, is from Margarete Sommers of the Catholic Welfare Office in the Berlin Diocese. Following the Rosenstrasse Protest of late winter 1943. Sommers, who shared with colleagues an assumption that “the people could mobilize against the regime on behalf of specific values,” wrote that the women had succeeded through “loudly voiced protests”. The protest began as a smattering of “racial” German women seeking information about their Jewish husbands who had just been incarcerated in the course of the massive roundup of Berlin Jews in advance of the Nazi Party's declaration that Berlin was “free of Jews.” As they continued their protest over the course of a week, a powerful feeling of solidarity developed. Police guards repeatedly scattered the women, gathered in groups of up to hundreds, with shouts of “clear the street or we’ll shoot.” As the police repeatedly failed to shoot, some protesters began to think their action might prevail. One said that if she had first calculated whether a protest could have succeeded, she would have stayed home. Instead, “we acted from the heart,” she said, adding that the women were capable of such courageous action because their husbands were in grave danger. Some 7,000 of the last Jews in Berlin arrested at this time were sent to Auschwitz. At Rosenstrasse, however, the regime relented and released Jews with “racial” family members. Even intermarried Jews who had been sent to Auschwitz work camps were returned. Rosenstrasse was the only open, collective protest for Jews during the Third Reich, and in the estimation of historians over the decades, it rescued some 2,000 intermarried Jews. They were “full” Jews in the sense of the 1935 Nuremberg Laws and the Gestapo aimed to deport as many as it could without drawing attention to the Holocaust or alienating the “racial” public, according to. Auschwitz records show that SS officials were expecting additional laborers from Berlin, most likely those imprisoned at Rosenstrasse, just as the regime was intent on deporting the last Jews from German soil. Intermarried German Jews and their children were the only Jews to escape the fate Reich authorities had selected for them, and by the end of the war 98 percent of German Jews who survived without being deported or going into hiding were intermarried. Hitler told Goebbels in November 1941, Jews were to be deported aggressively only as long as this did not cause “unnecessary difficulties.” Thus “intermarried Jews, above all those in artist circles,” should be pursued somewhat reservedly. A protest during wartime showing public dissent and offering an opportunity to dissent represented an unnecessary difficulty for a Führer determined to prevent another weak home front like the one he blamed for Germany's defeat in WW I.
Wolf Gruner argues that events at Rosenstrasse ran according to Gestapo plans. The Gestapo held intermarried Jews at Rosenstrasse 2–4, “many” for more than nine days to verify their “racial status” and to select 225 replacements for newly deported “full Jews” working in Jewish institutions. A number of young children were included among those incarcerated for the job selection at Rosenstrasse 2–4 “so they would not be left alone at home when their parents were arrested”. Yet the regime had detailed information about these and other Jews, and had established ways to conscript Jews for work. This view does not take the history of intermarriage or protest into account and supposes the regime did not worry about this continuous display of dissent enough to dispel it earlier, even though it was in view in central Berlin for foreign journalists, diplomats, as well as “racial” Germans including soldiers on leave. Even up until the end of 1944, Hitler remained concerned about his image and refused to use coercion against disobedient “racial” Germans. On October 11, 1943, some three hundred women protested on Adolf Hitler Square in the western German Ruhr Valley city of Witten against the official decision to withhold their food ration cards unless they evacuated their homes. Under increasing Allied bombardments, officials had struggled to establish an orderly program for evacuation. Yet by late 1943 many thousands of persons, including hundreds from Witten, had returned from evacuation sites. The Westfälische Landeszeitung, the daily Nazi Party regional newspaper, branded evacuees who returned as pests ("Schädlinge"), a classification for persons subverting the Reich and its war. Officials called them “wild” evacuees, exercising their own against the party and state, according to Julie Torrie. The Witten protesters had the power of millions of likeminded Germans behind it, and venerable traditions of family life. Within four months Hitler ordered all Nazi Party Regional Leaders (Gauleiter) not to withhold the ration cards of evacuees who returned home without permission. In July 1944, Reichsführer SS Heinrich Himmler and Hitler's Private Secretary Martin Bormann jointly ruled that “coercive measures” continued to be unsuitable, and in October, 1944 Bormann reiterated that coercion was not to be used against evacuees who had returned. “One dare not bend to the will of the people in this point,” Goebbels wrote in his diary several weeks later. The shuffling back and forth of Germans between evacuation sites and their homes strained the Reichsbahn, and the regime must “dam up” the stream of returning evacuees. If “friendly cajoling” failed “then one must use force.” At the moment, however, “the people know just exactly where the soft spot of the leadership is, and will always exploit this. Should we make this spot hard where we have been soft up until now, then the will of the people will bend to the will of the state. Currently we’re on the best path to bending the will of the state to the will of the people.” Giving in to the street is increasingly dangerous, Goebbels wrote, since each time this happens the state loses authority and in the end loses all authority. Another form of resistance was assisting the persecuted German Jews. By mid-1942 the deportation of German and Austrian Jews to the extermination camps in occupied Poland was well under way. It is argued by some writers that the great majority of Germans were indifferent to the fate of the Jews, and a substantial proportion actively supported the Nazi programme of extermination. But a minority persisted in trying to help Jews, even in the face of serious risk to themselves and their families. This was most pronounced in Berlin, where the Gestapo and SS were headquartered, but also where thousands of non-Jewish Berliners, some with powerful connections, risked hiding their Jewish neighbors. The various groups of German resistance against the Nazi government had different attitudes to the Allies. The most visible resistance group of the July 20 plot wasn't interested in dealing with all the Allies, and pressed demands against such Allied countries as Poland and the Soviet Union; some of its members were involved in atrocities against people in these countries. In particular the July 20th plotters demanded in their proposals to occupy Poland and annex its territory, while occupying the rest of East Europe and continuing war with the Soviet Union. The token representative of the July 20 Group, Claus von Stauffenberg, was known for his support towards German colonization of Poland as well as racist remarks regarding Polish Jews. On 1 July Stauffenberg was appointed chief-of-staff to General Fromm at the Reserve Army headquarters on Bendlerstrasse in central Berlin. This position enabled Stauffenberg to attend Hitler's military conferences, either in East Prussia or at Berchtesgaden, and would thus give him a golden opportunity, perhaps the last that would present itself, to kill Hitler with a bomb or a pistol. Conspirators who had long resisted on moral grounds the idea of killing Hitler now changed their minds – partly because they were hearing reports of the mass murder at Auschwitz of up to 400,000 Hungarian Jews, the culmination of the Nazi Holocaust. Meanwhile, new key allies had been gained. These included General Carl-Heinrich von Stülpnagel, the German military commander in France, who would take control in Paris when Hitler was killed and, it was hoped, negotiate an immediate armistice with the invading Allied armies. The demands of the plotters regarding armistice with Allies included Germany retaining its 1914 eastern borders, including the Polish territories of Wielkopolska and Poznań. Other demands included keeping such territorial gains as Austria and the Sudetenland within the Reich, giving autonomy to Alsace-Lorraine, and even expansion of the current wartime borders of Germany in the south by annexing Tyrol as far as Bolzano and Merano. Non-territorial demands included such points as refusal of any occupation of Germany by the Allies, as well as refusal to hand over war criminals by demanding the right of "nations to deal with their own criminals". These proposals were only directed to the Western Allies – Stauffenberg wanted Germany only to retreat from western, southern and northern positions, while demanding the right to continue military occupation of German territorial gains in the east. Those who survived interrogation were given perfunctory trials before the People's Court and its bullying Nazi judge Roland Freisler. Eventually some 5,000 people were arrested and about 200 were executed – not all of them connected with the July 20 plot, since the Gestapo used the occasion to settle scores with many other people suspected of opposition sympathies. After February 3, 1945, when Freisler was killed in an American air raid, there were no more formal trials, but as late as April, with the war weeks away from its end, Canaris's diary was found, and many more people were implicated. Executions continued down to the last days of the war. ^ a b Klemperer, Klemens von (1992). German Resistance Against Hitler: The Search for Allies Abroad 1938-1945. Oxford University Press. pp. 4–5. ISBN 9780191606793. ^ Mommsen, Hans "German Society and the Resistance Against Hitler" pages 255-273 from The Third Reich The Essential Readings edited by Christian Leitz, Blackwell: London, 1999 pages 259-262. ^ Staff (2018). "Nazi persecution of homosexuals". United States Holocaust Museum. Retrieved 2018-09-04. ^ a b "A-Infos (en) Britain, Organise! #65 - The FAUD Undergound in the Rhineland anarchist resistance to nazism". Archived from the original on 2008-12-01. ^ Janowitz, Morris (1 January 1946). "German Reactions to Nazi Atrocities". American Journal of Sociology. 52 (2): 141–146. JSTOR 2770938. ^ Wolf, Hubert (2010). Pope and Devil: The Vatican's Archives and the Third Reich. Harvard University Press. pp. 81–223. ISBN 9780674050815. ^ a b c d Shirer, William L (1960). The Rise and Fall of the Third Reich. New York: Simon and Schuster. ISBN 978-0-671-72868-7. ^ Cox, John M. (2009). Circles of Resistance: Jewish, Leftist, and Youth Dissidence in Nazi Germany. Peter Lang. pp. 33–36. ISBN 9781433105579. ^ 1902-1975., Wheeler-Bennett, John Wheeler, Sir, (2005). The nemesis of power : the German Army in politics, 1918-1945. Overy, R. J. (2nd ed.). New York: Palgrave Macmillan. ISBN 978-1403918123. OCLC 52878765. ^ Michael, Bloch (1992). Ribbentrop (1st American ed.). New York: Crown Publishers. p. 195. ISBN 978-0517593103. OCLC 27068729. ^ a b c Balfour, Michael (2013-06-20). Withstanding Hitler. Routledge. ISBN 9781136088681. ^ Ann, Tusa; Tusa, John (1983). The Nuremberg trial. London: Macmillan. ISBN 978-0333274637. OCLC 59060676. ^ a b Kershaw, Ian The Nazi Dictatorship Problems and Perspectives of Interpretation, London: Arnold Press, 2000 pages 183–184. ^ Encyclopædia Britannica Online: Michael von Faulhaber; web Apr. 2013. ^ Peter Hoffmann; The History of the German Resistance 1933-1945; 3rd Edn (First English Edn); McDonald & Jane's; London; 1977; p33. ^ Gitta Sereny, Into That Darkness (New York: McGraw-Hill 1974; reprint, Vintage Books, 1983) at 59. ^ Cf., generally, Donald Dietrich, "Catholic Resistance to Biological and Racist Eugenics in the Third Reich" at 137-155, in Nicosia and Stokes, editors, Germans Against Nazism. Essays in Honor of Peter Hoffman. Nonconformity, Opposition, and Resistance in the Third Reich (Oxford: Berg Publishers 1990). ^ A more critical view is given by Theodore S. Hamerow, On the Road to Wolf's Lair. German Resistance to Hitler. (Harvard University 1997), in his chapter 8, "The Catholics: Church, Clergy, and National Socialism" at 131-146. ^ Weinberg, Gerhard The Foreign Policy of Hitler's Germany Starting World War II University of Chicago Press: Chicago, Illinois, United States of America, 1980 page 396. ^ Müller, Klaus-Jürgen "The Structure and Nature of the National Conservative Opposition in Germany up to 1940" pages 133–178 from Aspects of the Third Reich edited by H.W. Koch, Macmillan: London, United Kingdom pages 162–163 & 166–167. ^ Conze, Eckart (October 27, 2010). "Hitler's Diplomats Historian Calls Wartime Ministry A 'Criminal Organization'". Spiegel. Retrieved 2011-07-07. ^ Smith, Howard K. (1942). Last Train from Berlin. Knopf. p. 281. ^ Sybil Milton, “Women and the Holocaust,” in when Biology became Destiny. ^ a b Ian, Kershaw (2002). Popular opinion and political dissent in the Third Reich, Bavaria 1933-1945 (New ed.). Oxford: Clarendon Press. ISBN 0199251118. OCLC 50479485. ^ a b Kuller, Christiane (2015). Stoltzfus, Nathan; Maier-Katkin, Birgit, eds. Protest in Hitler's "National Community": Popular Unrest and the Nazi Response. New York: Berghahn Books. ^ Neuhäser, J. (1946) Kreuz und Hakenkreuz: Der Kampf des Nationalsozialismus gegen die katholische Kirche und der kirchliche Widerstand. Munich: Katholische Kirche Bayerns. ASIN B0017W366U. ^ Kuropka, J. (1987) Das Kreuz: Untersuchungen zur Geschichte des Konflikts um Kreuz und Lutherbild in den Schulen Oldenburgs, zur Wirkungsgeschichte eines in einer agrarisch katholischen Region.Aschendorff, Münster: Oldenburgische Volkszeitung. ^ Beth Griech-Polelle (2002, 1), Bishop von Galen: German Catholicism and National Socialism. ^ E. D. R. Harrison (1994: 354), “The Nazi Dissolution of the Monasteries: A Case-Study,” inThe English Historical Review, 109, 431 (April). ^ Jonathan Düring, Wir weichen nur der Gewalt: Die Mönche von Münsterschwarzach im Dritten Reich, vol. 2, Münsterschwarzach 1997. ^ Leugers, A. (2005) Der Protest in der Rosenstraße 1943 und die Kirchen. In A. Leugers (Ed.) Berlin, Rosenstraße 2-4: Protest in der NS-Diktatur: Neue Forschungen zum Frauenprotest in der Rosenstraße 1943. Annweiler: Ploeger. ^ a b Nathan., Stoltzfus, (2001). Resistance of the heart : intermarriage and the Rosenstrasse protest in Nazi Germany. New Brunswick, N.J.: Rutgers University Press. ISBN 0813529093. OCLC 44764115. ^ Joachim Neander (2004, 115ff), “Die Auschwitz-Rückkehrer vom 21. März 1943,” in A. Leugers (2004). ^ Stoltzfus (2005, 450-9) in Historical Evidence and Plausible History, Central European History 38 (3). ^ Joachim Neander (2004: 196-202), “Die Rosenstrasse von außen gesehen—Wechsel der Perspektiven,” in A. Leugers (2004). ^ Raul Hilberg (1985, vol. II, 430) in Destruction of the European Jews. ^ Fröhlich, E. (Ed.) (1994-1996). Die Tagebüchervon Joseph Goebbels. Teil II. Diktate, 1941-1945, 15 Bde. Munich: K. G. Saur. ^ a b c Wolf Gruner (2005), Widerstand in der Rosenstraße: Die Fabrik-Aktion und die Verfolgung der "Mischehen" 1943. ^ Leugers, A. (2006) Widerstand gegen die Rosenstraße. http://aps.sulb.unisaarland.de/theologie.geschichte/inhalt/2006/11.html(downloaded April 28, 2008). ^ a b Torrie, Julie (2015). Stoltzfus, Nathan; Maier-Katkin, Birgit, eds. Protest in Hitler's "National Community": Popular Unrest and the Nazi Response. New York: Berghahn Books, 76-105. ^ Julie Torrie, ‘If only Family Unity can be Maintained’: The Witten Protest and German Civilian Evacuations,” in German Studies Review 29 (2). ^ Gilbert, Martin (2004). The Righteous: The Unsung Heroes of the Holocaust. New York: H. Holt. ISBN 978-0-8050-6261-8. OCLC 54459627. ^ Housden, Martyn (1997). Resistance and Conformity in the Third Reich. New York: Routledge. ISBN 978-0-415-12134-7. page 100: "He was endorsing both the tyrannical occupation of Poland and the use of its people as slave labourers"
^ Peter Hoffman (2003). Stauffenberg: A Family History, 1905–1944. McGill-Queen's Press. p. 116. ^ "Home - FDR Presidential Library & Museum". ^ Michael R. Beschloss, The Conquerors: Roosevelt, Truman and the Destruction of Hitler's Germany, 1941–1945 ISBN 0-7432-4454-0 p.258 "At a moment when they were trying to establish a sense of collective guilt for Hitlers horrors, they did not wish to confuse the issue by reminding the world that some Germans had risked their lives, however belatedly and for whatever reasons, to stop the Fuhrer." ^ Kershaw, Ian The Nazi Dictatorship Problems and Perspectives of Interpretation, London: Arnold Press, 2000 page 184. German Resistance In The Third Reich – A Survivors Story Website documenting Arnold Hencke's resistance to the NAZI party and his subsequent imprisonment at Fuhlsbüttel concentration camp, by Greg McClelland.